Diatomaceous earth is a naturally occurring, fragile rock that is effortlessly crushed into an off-white powder. The rock is fossilized hard-shelled algae. It usually feels like pumice powder and it is quite abrasive. It’s used in toothpaste, as a water filtration aid, and as an organic insecticide. The powder cuts the exoskeleton and absorbs insect’s lipids. This causes the insects to die of dehydration. It can be used on most bugs, from cockroaches to bedbugs and Japanese beetles. You can sprinkle it on the top of cabinets and in crevices to kill an array of insects in the home. If your dog has flees you can coat him in the earth. You can also use it on your garden, but beware; it will also kill beneficial insects like bees. Finally, always buy food grade instead of pool grade. Visit online and ask for the experts. Cats are the obvious choice here for both outdoor and indoor pets. In fact, cats are such great predators that feral cats are thought to have led to extinction of numerous species of birds. They can find mice, rats, and a variety of other rodents, which is why so many organic farmers own semi-feral cats to protect their gardens and barns. Dogs, especially if they are allowed to roam freely, will find mid-sized prey like moles. Schnauzers were bred specifically to find rats. Both ducks and chickens will help keep an area free of many bugs, such as slugs. Some gardeners even create a fenced in chicken mote around their gardens to defend against invading pests. Guinea hens are known to scare off and chase large pests like raccoons, hawks, and coyotes, with varying success. Bat houses, which attract bats, can help control the mosquito population; each bat eats 500 to 1,000 mosquitos a night. 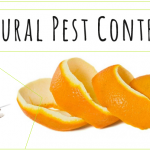 There are a lot of plants that can attract beneficial bugs, but there are also quite a few that repel specific pests. Castor bean plants will repel moles. Chamomile repels insects that fly. Dahlias repel nematodes. Crown imperials repel moles, voles, rabbits, and squirrels. Fennel repels snails, slugs, and aphids. Garlic repels a host of bugs, but also rabbits. Of course, one of the most notorious pests in the world can be controlled with the help of repellent plants. Mosquitoes can be repelled with basil, citrosa, common lantana, fever tea, and lemon thyme. Essential oils can help, too. Mints, grasses, and pines are common repellents.